Summertime is heating up and that means another confusing trip to the sunscreen aisle. But not all sunscreens meet the American Academy of Dermatology (AAD) criteria. 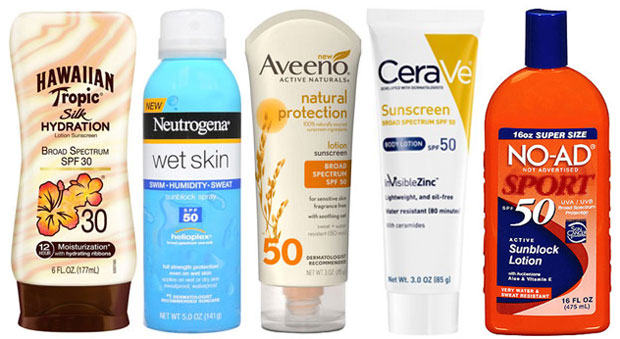 A recent study found that 40 percent of top consumer rated sunscreens sold on Amazon did not adhere to AAD guidelines, including not being water and sweat resistant. Many others are also facing legal challenges alleging they are not performing up to their marketing claims. Board Certified New York Dermatologist Dr. Kally Papantoniou gives you what you need to know before you lather or spray. Dr. Papantoniou explains that, “The SPF rating is a measure of the time it would take you to sunburn if you were not wearing sunscreen as opposed to the time it would take with sunscreen. “SPF is not a consumer-friendly number,” says Dr. Papantoniou. "It is logical for someone to think that an SPF of 30 is twice as good as an SPF of 15 and so on. But that is not how it works." According to Dr. Papantoniou, “An SPF 15 product blocks about 94% of UVB rays; an SPF 30 product blocks 97% of UVB rays; and an SPF 45 product blocks about 98% of rays. "After that, it just gets superfluous,” she says. Sunscreens with higher SPF ratings block slightly more UVB rays, but none offers 100% protection. Dr. Papantoniou recommends SPF 30 - 50 products to her patients, depending on their skin type and medical history. Natural antioxidants are the latest breakthrough in sunscreens and are a safe way to boost our natural immunity to the sun's harmful rays. When layered or combined with a sunscreen, they add an extra level of protection. Some known antioxidants are green tea polyphenols, vitamin C, raspberry seed oil, astaxanthin, ferulic acid and reishi mushrooms. FACT: “SPF isn’t an equation,” says Dr. Papantoniou. “You can’t use an SPF 15 primer and an SPF 20 foundation and get SPF 30 coverage. Your sun protection is only as strong as your highest SPF, which in this case would be 20.” Of course, if you’re dabbing foundation or moisturizer on only small areas of your face, it’s wise to double up on products that contain SPF to ensure total coverage. FACT: Makeup will not act as a barrier for UV rays, even if it has an added SPF. "Testing has shown that the SPF protection from a makeup product alone is insufficient. That small amount of SPF is always a nice addition, but not enough to protect your skin," says Dr. Papantoniou. Always apply sunscreen (or a moisturizer with broad-spectrum sun protection) under your makeup. If you're worried about your skin looking greasy, there are plenty of great mattifying options for the face. 4. Slather on generous quantities of sunblock at least 30 minutes before you head outdoors: To achieve the SPF level on the label, you need a teaspoon on your face, and a shot glass-worth for your body. Don't forget your ears, your lips, your hairline, and your scalp or part lines. Great post Dear, have a nice day! Wearing sunscreen is so important these days.